I got my remaindered copy of this book from one of those quirky shops in Glastonbury that specialises in all things mystical. Don’t let that put you off, though – there’s actually a lot more science than mysticism in it. On top of that, it’s the best biography I’ve read for a long time – well-researched and insightful, but fast-moving and highly readable at the same time. The world Kepler lived in was very different from ours (his dates were 1571 – 1630). In those days, it wasn’t a case of scientific rationalism on one side versus religion and woolly-minded mysticism on the other. Science barely entered the picture – it hadn’t even crystallised into its modern form yet. Europe was torn apart by arguments, not between religion and science, but between different flavours of religion. A bafflingly incomprehensible struggle between Lutherans and Calvinists sizzles away in the background throughout the book. There were mystics in those days, too. We’re told, for example, that Kepler’s patron, the Emperor Rudolf II, ‘was only interested in wizards, alchemists, cabbalists and the like’. Unlike today, however, the mystics weren’t anti-science (because, as already mentioned, science hadn’t been invented yet). If anything, in their fumblings towards ‘the truth’, the mystics were actually pushing the world closer and closer to a genuine scientific method. And Johannes Kepler was one of them. His official title was Imperial Mathematician. To modern eyes that might look highly scientific, but in those days the idea that mathematics could provide a meaningful description of the real world was essentially a mystical one. Mathematics had always been used in astronomy, but only as a calculating tool. It was Kepler’s big idea that a mathematical model of the Solar System could actually tell you something about how it worked. Like all his contemporaries, Kepler believed that God had created the universe – but he capped that with the ‘mystical’ idea that it had been created along strictly mathematical lines. This is where Kepler’s greatest scientific contribution came from – the notion that the planets move on elliptical orbits around the Sun, at speeds determined by precise mathematical laws. 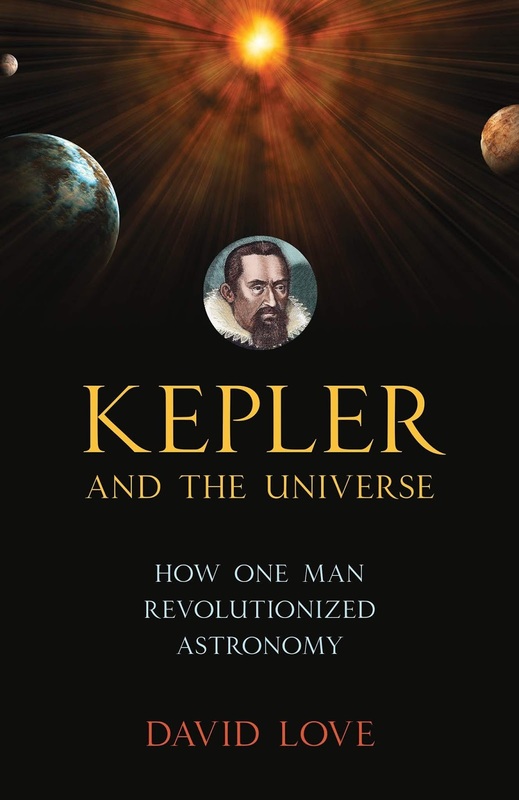 I already knew that – but the book gives a fascinating and lucid account of how Kepler got to that stage which was completely new to me. I was also surprised to discover that he anticipated Newton in ascribing planetary motion to a force emanating from the Sun – although he was thinking more in terms of an ethereal whirlpool than gravity. That last point is particularly ironic, because many people today will only know the name ‘Kepler’ in the context of NASA’s exoplanet-hunting space telescope. If you’re in that category and want to know more about the person it was named after – or if you know about Kepler’s laws but not about the man behind them – then this is the book to read.